An easy way to get your seasonal veggie fix! Prep all the vegetables. 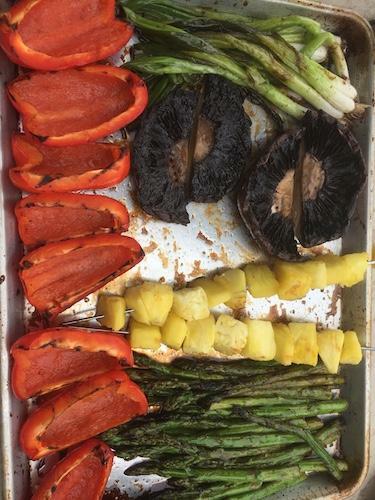 Mix the oil and vinegar together, pour over all of the veggies and let it marinate for about an hour. When you are ready, light your grill. Let cook over medium heat until they are done to your preference. Serve while hot with a protein of your choice. We are having this with grilled shrimp. So good!